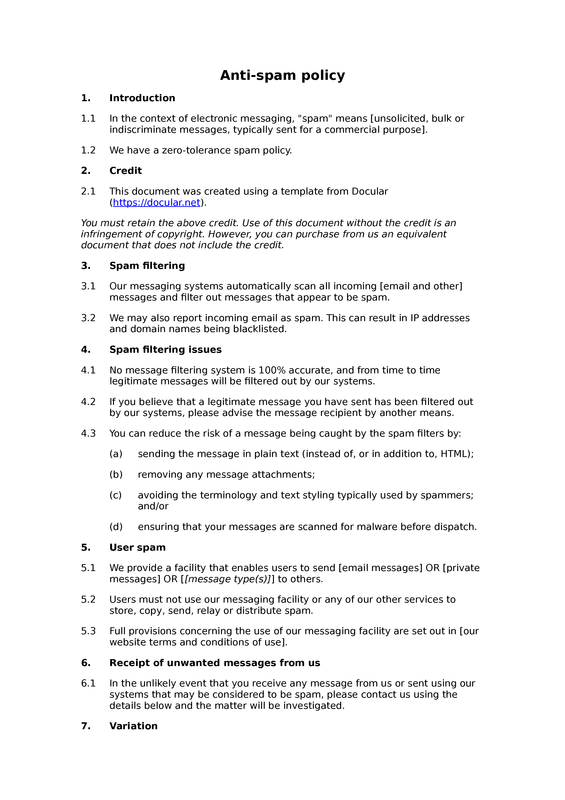 In this document, a website or service operator may set out its policies in relation to unwanted commercial communications, commonly known as spam. Whilst spam filters, whitelists / blacklists and other technical measures are the most important anti-spam tools, a formal anti-spam policy can also help, demonstrating that the operator takes spam issues seriously. 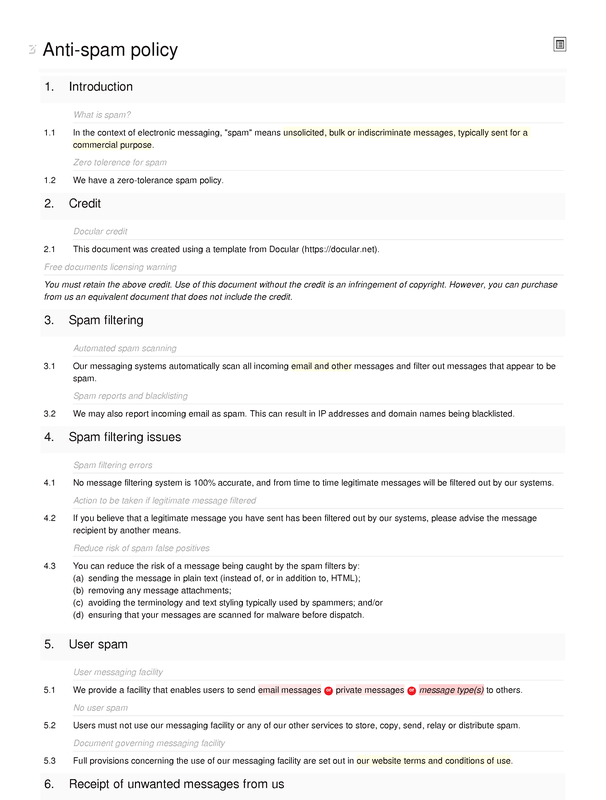 This policy document opens with a defamation of spam, and an assertion that the operator does not tolerate spam. It covers the operator's own spam filtering and reporting systems, the improper use of messaging facilities by users, and the sending of commercial messages by the operator.